We would love to meet you ... in Rome, Boston or Edinburgh? Francine will be attending the Pharmaceutical Trade Marks Group (PTMG) Spring Meeting in Rome, Italy (March 11-12, 2019), the International Trade Marks (INTA) Annual Meeting in Boston, U.S. (May 18-22, 2019), and the European Communities Trade Mark Association (ECTA) Annual Meeting in Edinburgh, Scotland (June 26-29, 2019). Do get in touch with us should you like to meet over coffee. 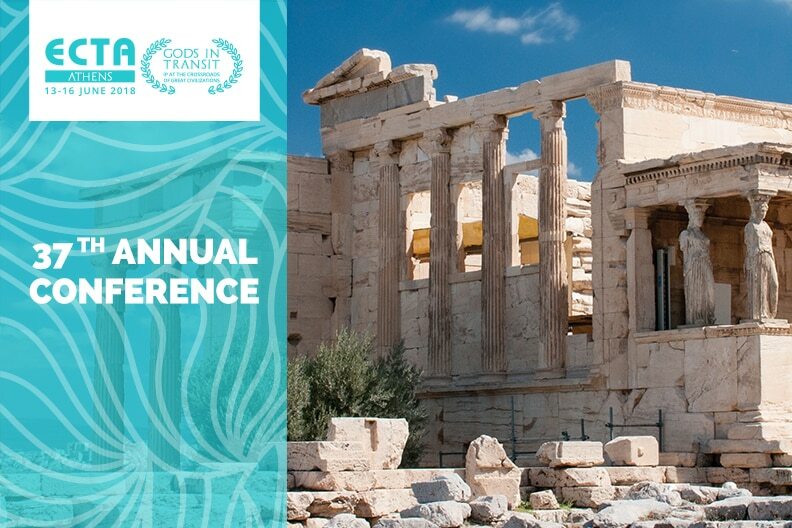 Francine attended the 37th Annual Meeting of ECTA, which took place on 13th - 16th June 2018 in Athens, Greece. The theme of the conference was "Gods in Transit: IP at the Crossroads of Great Civilizations." 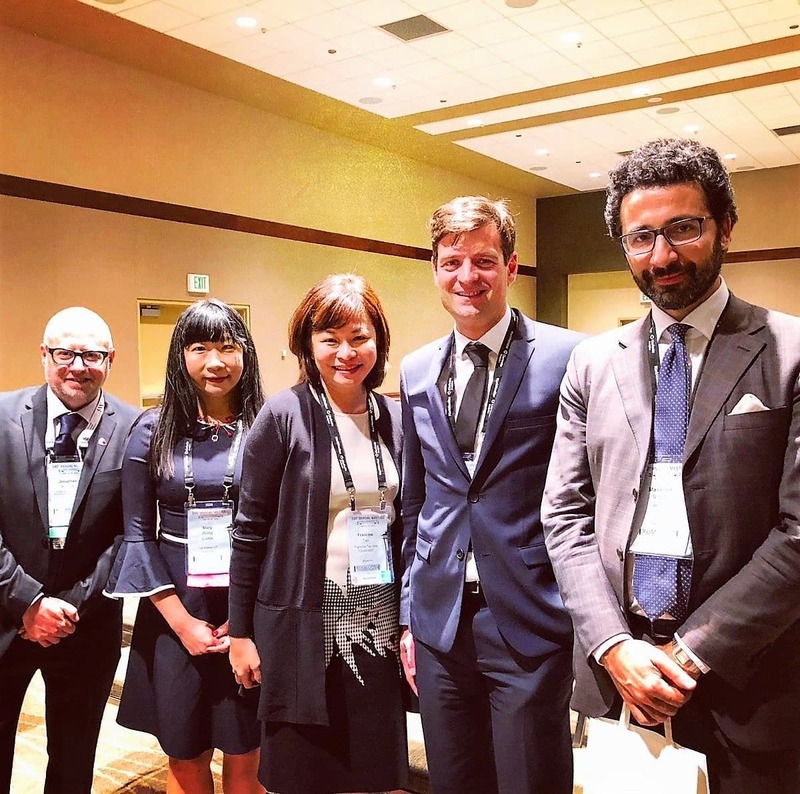 During the INTA Annual Meeting in Seattle, Francine moderated a panel discussion on the topic of Geographical Indications in the Domain Name Space. The stellar panel of speakers comprised Ms Mary Wong (Vice President, ICANN), Massimo Vittori (Managing Director, oriGIn), Charles Goemaere (Deputy Director General, Comite Champagne), Jonathan Agmon (Founding Partner, Soroker Agmon Nordman) and Scott Gerien (Director, Dickenson Peatman & Fogarty). 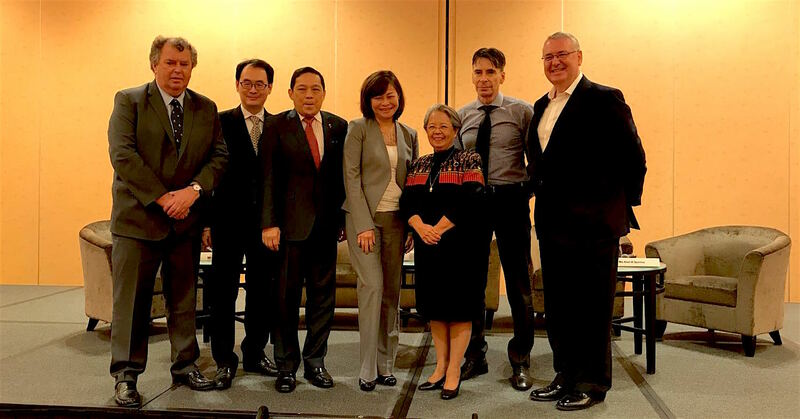 Francine Tan co-hosted a Roundtable discussion on the topic of Plain Packaging and Brand Restrictions: The WTO Upcoming Decision and the IP Perspective. Francine Tan was a panelist alongside Bryan Mercurio, Professor and Vice Chancellor’s Outstanding Fellow of the Faculty of Law at the Chinese University of Hong Kong, Mr. Seth Hays,Chief Representative, Asia-Pacific at International Trademark Association (INTA), and Mr. Samir Dixit, Asia Pacific Managing Director of Brand Finance. 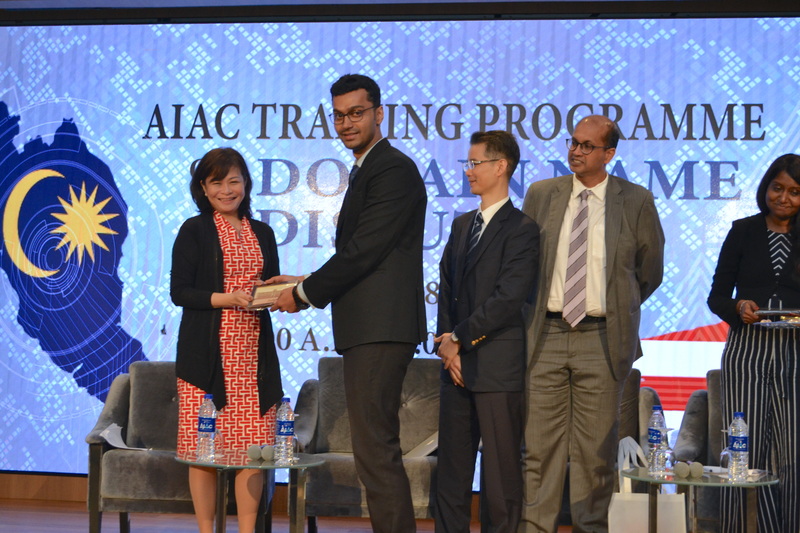 Francine was honoured to have been able to represented INTA at the AIAC Training Programme on domain name disputes in Kuala Lumpur. Francine was a panelist alongside Mr Dennis Cai (President of Policy and Compliance, Internet Dot Trademark Organization), Mr Indran Shanmuganathan (Partner, Shearn Delmore), and Ms Hemalatha P. Ramulu (Partner, Skrine). Amongst other issues relating to the value of brands on the Internet, Francine shared about the work of INTA in advocacy for the interests of brand owners and in fostering and harmonizing effective trademark laws and policies worldwide. 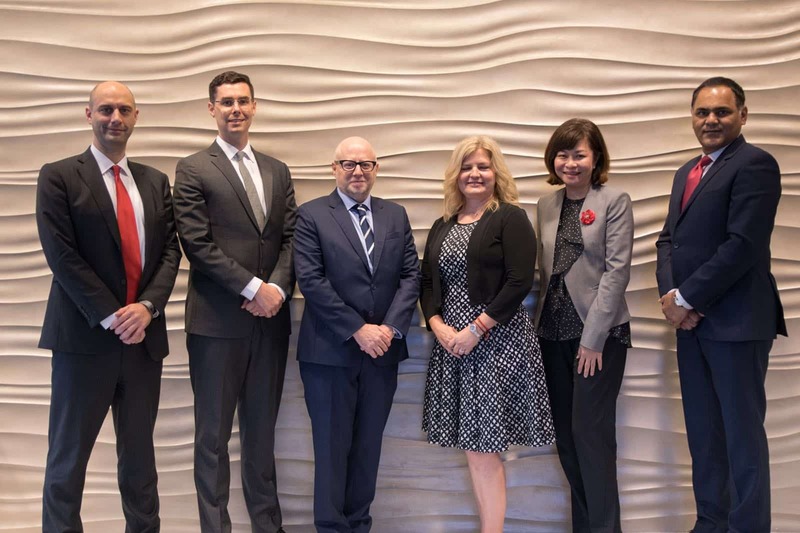 At the Singapore International Chamber of Commerce event on Protecting Your Brand & Intellectual Property, Francine, as a representative of INTA (the International Trademark Association), spoke on the topic of plain packaging and presented the perspective and concerns of INTA. 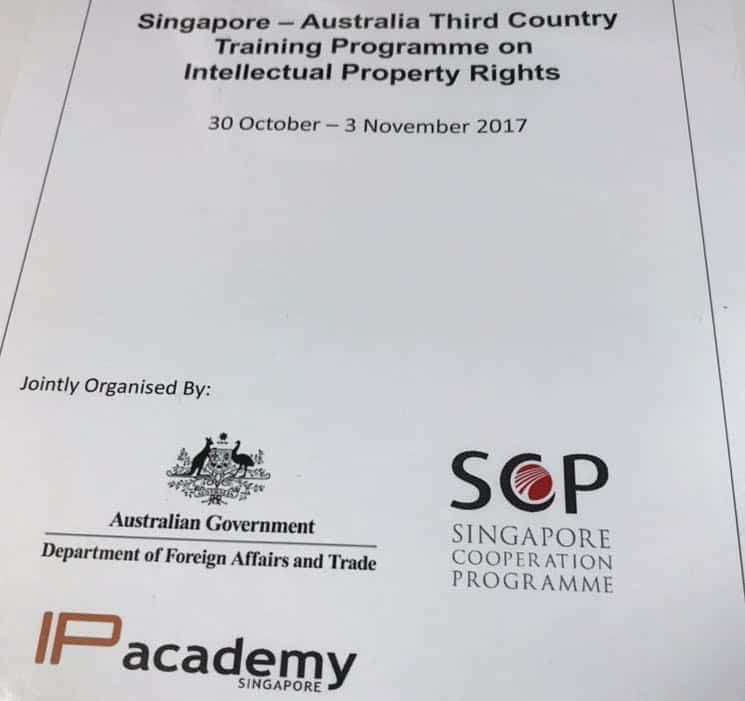 Francine Tan spoke on the latest developments in trade marks and geographical indications at the Singapore-Australia training programme on IP rights, organised by the IP Academy. Speaking on the topic of "Censored marks - Trade mark offices as guardians of public policy and morals"
There is a broad international consensus that trade marks which are scandalous, disparaging, contrary to principles of morality or public policy should not enjoy protection. But is there a consensus as to what defines a scandalous, disparaging or immoral trade mark? Where is the dividing line between poor taste and scandal and distaste and outrage?The session examined the differing legal and jurisdictional approaches in the Arabic, Asian and Western world to so called offensive or scandalous trade marks.